United States of America – Washington D.C.
You are ready to travel! 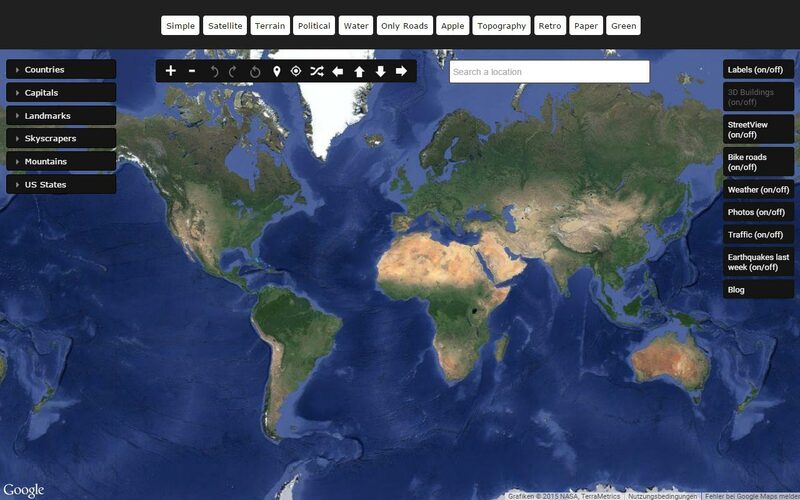 Earth View Maps is the first stop for every travel explorer. Find your new travel destination by searching for a country, city and even a street name. Zoom in or zoom out with scroller or with the + and – buttons. Move in all directions by press and drag the map or you can use the left, right, top, down buttons. On the left side of the map you can see a list with countries (try Antigua and Barbuda map), capitals (Paris), landmarks (Mecca), skyscrapers (One World Trade Center), mountains (Pico de Orizaba (5,636 m)) and US states (Hawaii map). Open the accordions and scroll for a place. This map use technologies by Google. 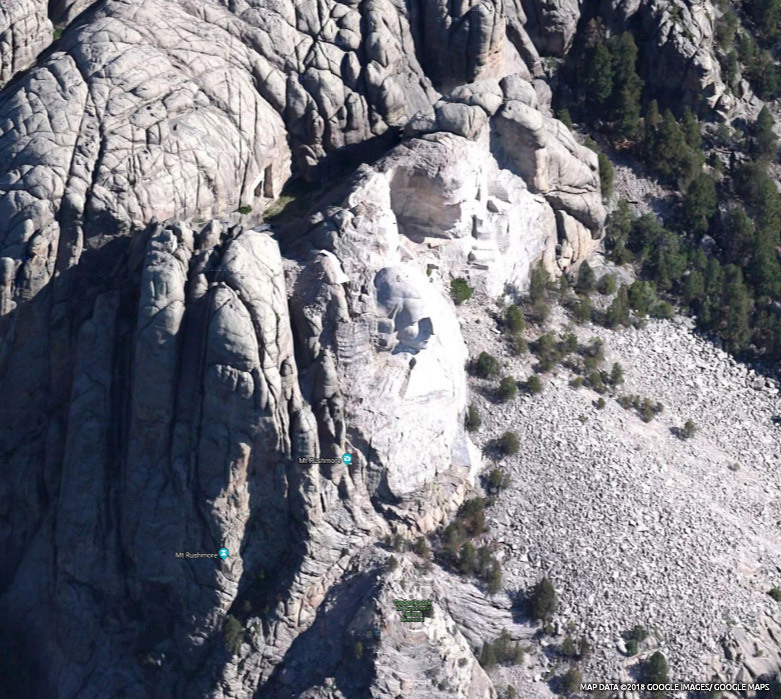 The Google Maps API allows you to navigate and explore new travel destinations on the earth. The first version of this websites used Google Maps API. On the right side of the map you could view more data on your maps like labels, streetview, earthquakes, photos by Flickr and news on the map by Reuters. It was great explorer tool with the red icons for cafes, museums, shoping and more type of places. You could zoom in to a place and select an icon. The maps would display all type of places in the area. Clicking on one of the places and you will get more information about it. You can still try The Metropolitan Museum of Art. Google Places is used to display the places information. You could find where your are by clicking on the Locate my position button. You had to allow the browser to read your GPS or WiFi data.